If you visit China in May, you can—for the most part—depend on warm, balmy temperatures with low heat and humidity levels. During the spring, the beautiful Chinese countryside boasts lush, green fields and blooming flowers. Clear blue skies will great you in the major cities (a rare occurrence in this country) and the residents are cheerful with spring fever, making it a pleasant time to go. Northern China and Beijing experience dry conditions in May with comfortably mild temperatures. Central and Southern China, however, can be damp, yet still warm. Pack a raincoat and layers no matter which area you plan to visit. As May—being a typical spring month in the Northern Hemisphere—has its share of weather inconsistencies, similar to those experienced in the United States. The People's Republic of China is a huge country with varying weather conditions, depending on your area of travel. In general, Central and Southern China—the regions that experience high tourism—tend to be damp throughout the year and can be hot and humid in the summer. But May provides a reprieve from these conditions, making it a good time to travel. In fact, temperatures in Xi'an and Shanghai range from 67 F to 74 F in May, with typically fewer than 15 days of rain. In Northern China, expect to encounter dry weather with comfortable temperatures around 80 F.
The further north you go, the cooler the temperatures, with cities like Harbin hovering around 70 F. Southern China and the Guangzhou region can be wet no matter when you visit, but with an average temperature of 85 F in May it won't be cold. And areas like Tibet and Northern Gansu—regions that see an influx of tourists in May—are warming up just enough to make the trekking conditions at altitude comfortable. No matter where you're headed, crowds should be sparse, as China's travel season doesn't don't really kick in until summer. Unless you're traveling to high altitudes, leave your winter gear at home, but don't forget a few light layers. Shorts and lightweight shirts will be all you need in the daytime when visiting the northwestern corner of the country but pack a jacket and light pants for cooler evenings. If you're traveling to central China, make sure to bring a waterproof rain jacket—one that's uninsulated and lightweight—as well as water resistant shoes or light hikers. Expect to wear these items most days throughout your trip and carry along a long-sleeved shirt to cut the chill of indoor air conditioning. In the south, moisture-wicking travel clothing will do, as hot and humid daytime temperatures can be sticky. And a thin pair of travel pants and a windbreaker will be enough to get you through any cool evening. From mid-April through mid-May, the peonies are in bloom in central China, attracting flower enthusiasts from around the world. 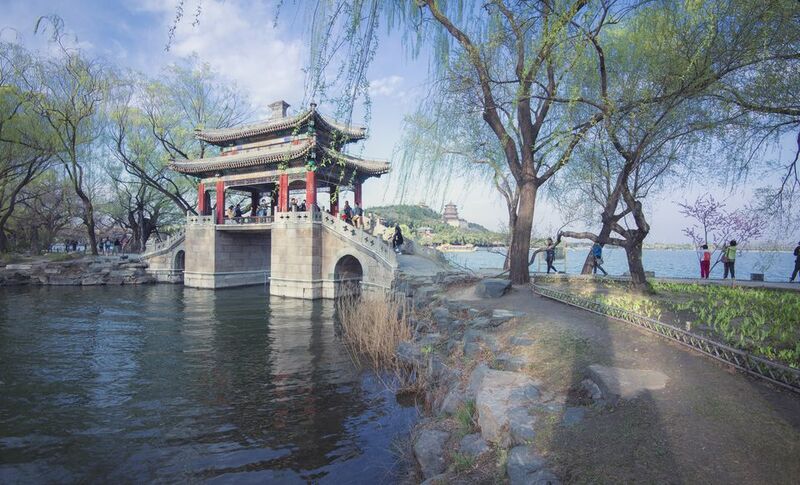 The Luoyang Peony Festival, held during this time, offers tourists and locals a way to view various gardens and parks throughout the region. Check out the Luoyang National Peony Garden which covers over 47 hectares and contains about 500,000 peonies in 9 colors. The Huangyaguan Great Wall Marathon is actually run on China's Great Wall, offering you both a fun event and view of a renowned cultural structure. This brutal 42.2-kilometer race, complete with 3,700 stairs, takes you along the wall and through the countryside and farms. Book a tour operator to facilitate your race (if you're the marathoning type) and chalk it up as a bucket list excursion that few people will dare to experience. Lastly, the Midi Music Festival (China's largest rock festival) is held early May in Beijing and features performances by over 50 worldwide underground rock artists. This event, hosted by the Beijing Midi School of Music is also held in other Chinese cities and offers a different lineup at each location. Traveling to China in May allows you to avoid the peak tourist season and the hot and humid summer months, both of which can put a damper on the experience. However, on the downside, rainy conditions are likely across most of the country except in the north and far west. Take note that the Chinese Labor Day (or May Day) warrants a three-day weekend for locals. While this shouldn't pose a big problem, do expect larger crowds at popular destinations and tourist sights and allow more time for travel with holiday traffic.